The #RamadanReadathon, run by Nadia of Headscarves and Hardbacks, is back this year, taking place between 17th May and 15th June. And this year, there is a #RamadanReadathon book tag, created by Amna of YA Book Corner. Now, sadly, I'm unable to take part in the #RamadanReadathon as I originally planned. As you may know, I'll be having a blog event in July, Mental Illness in YA Month, and I've still got quite a few books I want to read for the event. 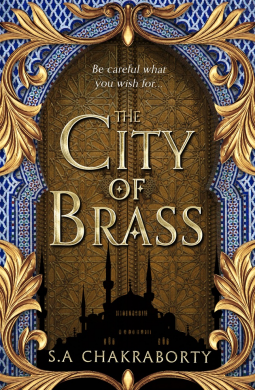 I'm currently reading The City of Brass by S. A. Chakraborty for the #RamadanReadathon, and the plan was to alternate reading a book for the readathon and a book for Mental Illness in YA Month but after I've finished The City of Brass, I'll be focusing solely on the books I want to get read for the blog event. I'll post a separate post about what this means for the blog, but as there won't be so many reviews for the readathon, I thought I could highlight a few more Muslim authors by taking part in the book tag! So read on for my answers! I'm not Muslim, so this one isn't one I can answer with a book written by a Muslim authors - if you know of any YA books by Muslim authors featuring anxiety, please do recommend them! 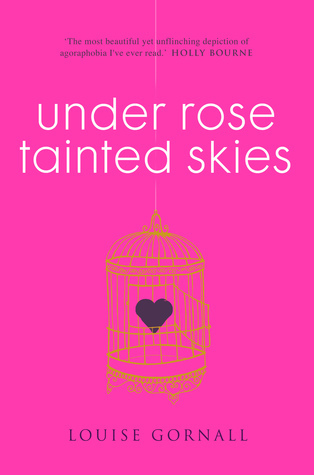 But the book I related to the most was Under Rose Tainted Skies by Louise Gornall. I read it when my anxiety was starting to show itself and I was waiting for a doctor's appointment to get a diagnosis and some help. I was terrified, at the time, of what having anxiety would mean for me, but fortunately, I read Under Rose Tainted Skies. I don't have OCD and Agoraphobia, but I do have anxiety, and though mine was never as severe as Norah's, it made such a difference to read this story. I felt seen, I felt understood, and as Norah's story ended on a hopeful note, it gave me hope in regards to my own anxiety, when I was so terrified. It was exactly the right book at the right time for me, and I absolutely loved it. You can read my review here. I'm going to say Sofia Khan from the Sofia Khan Duology by Ayisha Malik, and I've chosen her not for the events of the first book, but the events of the second. 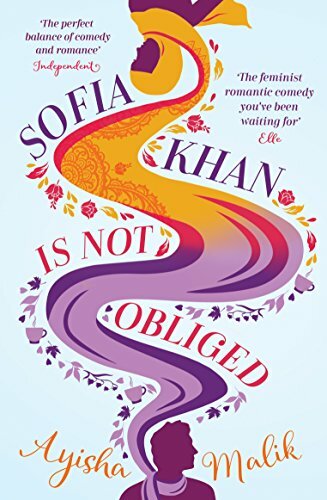 Sofia Khan is Not Obliged is a very funny, brilliant romcom, but The Other Half of Happiness isn't. I don't want to give any spoilers, but the second story is very different from the first. Sofia is the same person, but there are more serious events happening in her life this time round. It's not dating and falling in love, it's marriage, and a partnership, and when obstacles are thrown in your path, things can get difficult. What I loved is that Sofia really takes the time to think about her life, her wants and dreams, and how the books it asks questions about compromise and sacrifice. I'm not going to tell you how it ends, but this is a tough book for Sofia, and I love how she deals with things and the choices she makes. 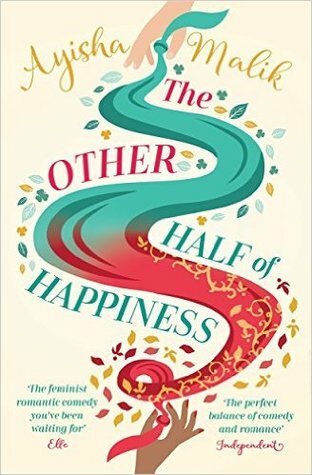 I really can't say much more without spoiling the story, but I found her really inspiring in The Other Half of Happiness. I thought she was brilliant. 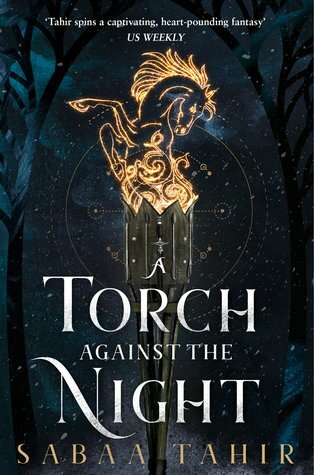 I'm going to go with A Torch in the Night by Sabaa Tahir for this one. I know it's already out, but in the UK, the paperback is getting rejacket, and so it's only available to pre-order at the moment, and I don't have a copy! I was originally planning to read it for the #RamadanReadathon, as I loved An Ember in the Ashes, and just assumed I could buy it, but nope! I have to wait until either July or August, I'm seeing different release dates. But I am so looking forward to it! I've not yet finished it, but there's only 20% to go, but I have got to say S. A. Chakraborty, because The City of Brass is absolutely amazing! 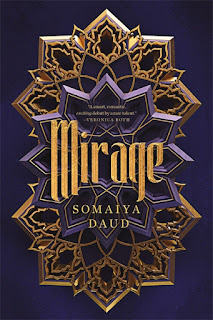 It's a retelling/reimagining of the One Thousand and One Nights story of the same name, The City of Brass, and it has such incredible world building, fantastic characters, and such an amazing plot! I am absolutely loving it! For this one, I'm going to go with The Lines We Cross by Randa Abdel-Fattah, also known as When Michael Met Mina. This is such an incredible novel that looks at immigration, refguees, and Islamophobia. It follows Michael and Mina; Mina is a Muslim refugee from Afghanistan who has recently moved to the area with her parents after receiving a scholarship to a prestigious high school, but her family's new restaurant comes under fire from Aussie Values, a racist anti-immigration organisation. Michael is the son of a man who runs Aussie Values, who starts to question everything he's been taught when he meets Mina, and understands the reasons her family are refugees, and the Islamophobia they experience. It's really thought-provoking and such a wonderful novel. I really implore everyone to read it. So those are my answers! Have you read any of these books? What did you think? And if you've done the book tag, too, let me know so I can read your answers! Be sure to follow @MuslimReadathon on Twitter and follow the #RamadanReadathon hashtag to follow everyone else's progress and posts!